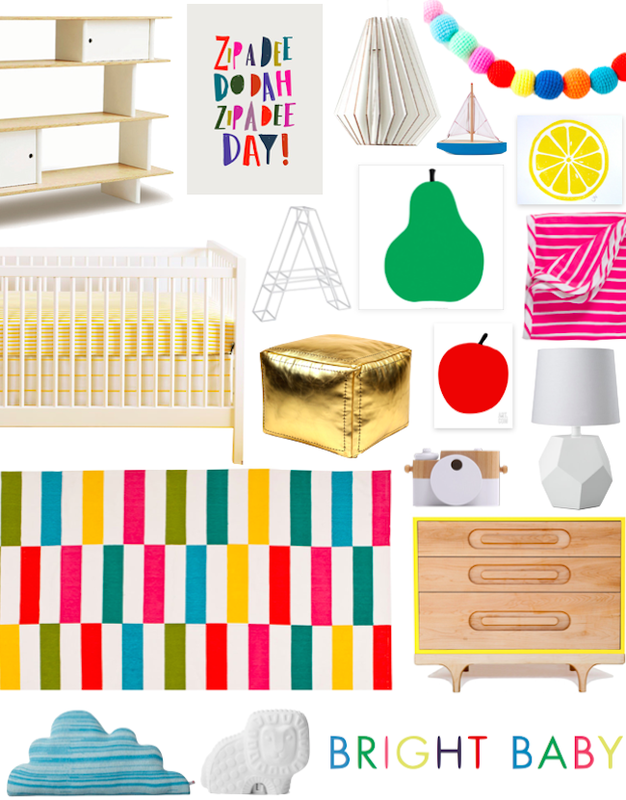 A Lovely Lark: Bright Baby Nursery Design Board + A Giveaway! Today I'm so excited to also be partnering with Hanna Andersson to bring you all a super fun, bright, and colorful nursery design board plus another giveaway for a $100 gift card! The lovely folks over at H.A. contacted me about their new Bright Baby Basics collection and I was instantly smitten! I absolutely love the colors, design, and patterns and thought it was just the perfect inspiration for a fun and fresh nursery design board. I love that everything in the collection is both adorable and affordable and that it was inspired by Hanna's very first designs over thirty years ago. The fabrics are all organic but the colors are so vibrant - not always the easiest combination to find in my experience. They sent a few pieces for Lucy and we just love them - they're so soft and comfortable but also cute and stylish. You can find the full collection here. P.S. Don't forget to enter to win one of two $100 gift cards to Stuck on You! Great giveaway! I'm jenniferladd on Pinterest. Thanks! I would love to win this terrific giveaway! My handle is kardis! Love it! My handle is Christine Schnetz. Thanks! My pinterest handle is ninagina (Michelle Rafiq). Love everything above!! My pinterest handle is Liz Ann Hill. We LOVE Hanna! My daughter needs their organic jammies for her eczema. What a nice giveaway! Thanks for doing the work involved to host this! My Pinterest username is ashleymoseley. I followed HA on Pinterest - egbindc! Love them. Oh those onesies are gorgeous. It's the cutest when I dress my 16 month old in onesies. Love everything, following from sweetcaribou! My pinterest accoung is Pauliina Oksanen ! Nice. would love it for my baby! Love Hanna Andersson! My Pinterest username is brandylafuse. I follow on Pinterest as Shannon Faith. What a great giveaway! Whoever wins is going to be so lucky! Thanks for hosting! We love Hanna Andersson. Everything washes and wears so well and the toddler underwear is amazing. My pinterest name is Blythe Church.